Based on actual 18th-century texts, anatomy theater follows the astonishing progression of an English murderess: from confession to execution and, ultimately, public dissection before a paying audience of fascinated onlookers. Through the miracle of opera, she sings through it all. anatomy theater conjures a time when “specialists” traveled from town to town in pre-modern Europe, conducting public dissections of the corpses of executed criminals, seeking evidence of moral corruption in the interior of the human body. It is an idea that resonates today when, out of fear, we assign evil to some bodies and not others. Written by Pulitzer Prize–winning and Oscar-nominated composer David Lang and world-renowned visual artist Mark Dion, anatomy theater is a tuneful and grisly theatrical event. Commissioned by Beth Morrison Projects, Ridge Theater, Justus & Helen Schlichting, Linda & Stuart Nelson, Paul King, Marla Mayer & Chris Ahearn. Additional commissioning support provided by BRIC, Nancy & Barry Sanders and Miles & Joni Benickes. anatomy theater is funded, in part, by an award from The National Endowment for the Arts - Art Works, and by public funds from The New York City Department of Cultural Affairs in partnership with the City Council. Additional funding was provided by the Multi-Arts Production Fund (MAP), the Francis Goelet Charitable Lead Trusts and New Music USA. 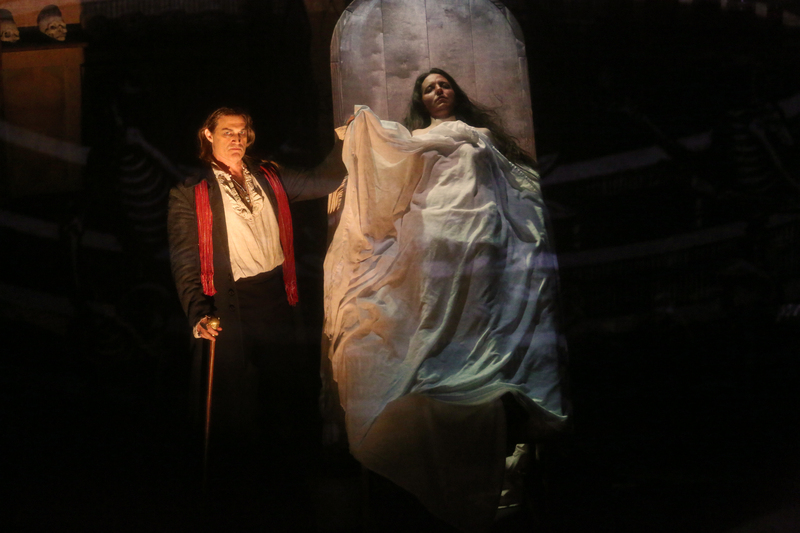 anatomy theater premiered at LA Opera in a Beth Morrison Projects production in June 2016. PROTOTYPE – OPERA/THEATRE/NOW (http://prototypefestival.org/) is an annual festival of visionary opera-theatre and music-theatre works by pioneering contemporary artists from New York City and around the world. PROTOTYPE is a co-production of Beth Morrison Projects and HERE, two leaders in the creation and presentation of contemporary, post-classical, multi-disciplinary opera-theatre and music-theatre work. The festival is the only of its kind in New York City - presenting both complete performances as well as works-in-progress through partnerships with local performing arts venues.